Tell us in the ORDER COMMENTS section at checkout which three you would like and prepare thyself for an epic aural journey! Before Murder By Death joined the Bloodshot ranks, the band released a number of records on celebrated indie labels such as Vagrant and Eyeball Records, which MBD has reissued themselves over the years on various versions of vinyl. With the impending release of Murder By Death's third Bloodshot album (and eigth overall) The Other Shore, we decided to widely distribute the band's illustrious pre-BS catalog on vinyl LP, so now their whole catalog is available right here in the Bloodshot bodega (and at some of your favorite local record stores)! 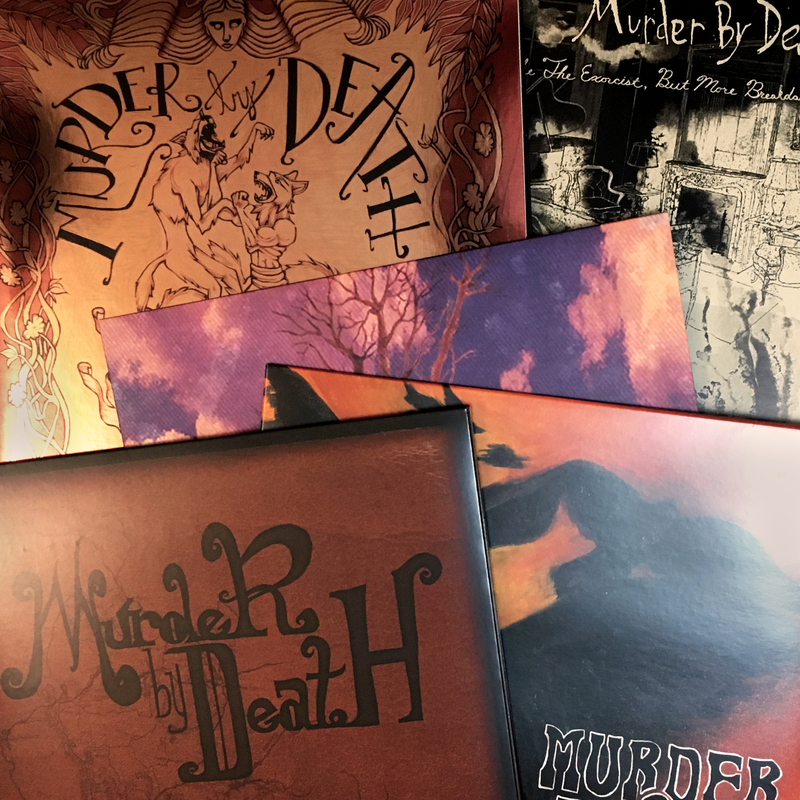 We'll make you a deal...pick any three (3) of the following Murder By Death albums, and we'll bundle them together for $50 (several of these releases retail at $20+).